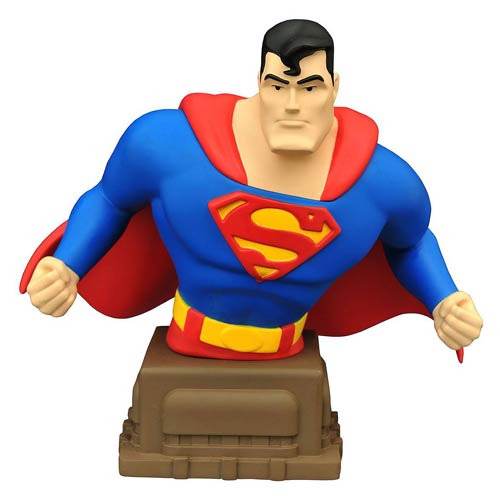 Here comes the Man of Steel as an animated resin bust from Superman: The Animated Series! Captured in the timeless animated style, the Last Son of Krypton stands approximately 6-inches tall, striking an action pose atop a pedestal inspired by the art-deco architecture of Metropolis. Packaged in a full-color box, the bust includes a certificate of authenticity and is a limited edition of 3,000 pieces. Sculpted by Varner Studios! Ages 13 and up.